Our customers have many questions about installing sod this time of year (during the cooler months of October and November). We’ve compiled a list of frequently asked questions with our answers below. We hope it helps you with your year-end landscaping projects! Harvesting sod in the cooler months. Q – Is now (October) a good time to install sod for our area? A – Fall is one of the best times to install KBG sod (in our region)! Our (KBG) Kentucky Bluegrass sod is a cool-season grass. Installing it during cooler months means better survivability and less heat stress. A fall installation date will also allow time for the roots to develop prior to the next summer. And since it’s too late to plant grass seed for a successful fall seeding, sod is a great alternative for an instant lawn. 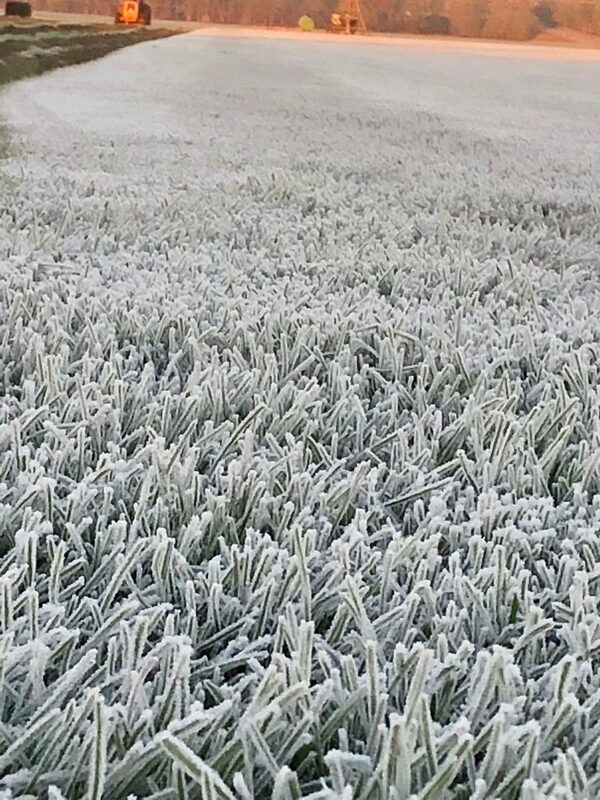 A layer of frost blankets the sod field last year. Once the frost burned off in the sun, we were ready to harvest! Q – How much time do I have left to lay sod this year, and how long are you harvesting sod? A – We tell our residential customers as a guide, try to have all of your landscaping projects wrapped up by Thanksgiving (end of November). We will harvest sod until the ground becomes too frozen for our equipment which is typically in December sometime. Some landscapers install sod in the winter – as long as the site is prepped and ready and we are still able to harvest sod. Q – How long will my sod survive if I cannot install it right away? A – During the colder months of October and November, since it’s well under 80 degrees and the risk of “cooking” your sod is no longer an issue, uninstalled sod can hold up for several days. However, no matter what time of year it is, it’s always best to get installed right away so it can transplant as quickly as possible. 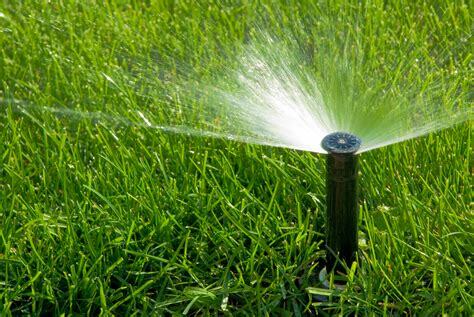 Q – How often should I water my new sod this time of year (October/November)? A – Although most people are finished with watering their established lawns this time of year, you still need to ensure your newly installed sod does not dry out and stays damp after installation until the ground freezes. During the October and November months (cooler weather) moisture from water stays in the soil longer and most people typically do not have issues with sod drying out. Mother nature usually takes over and keeps everything pretty hydrated. Keep in mind that morning frost will not kill the new sod, rather it will add moisture naturally after it thaws. Once the ground freezes for the season, there is no need to water, as the sod will go into a dormant state and finish rooting in the spring. Not sure if you are getting enough water? Pull up on a piece of sod and look at the soil underneath for signs of moisture. Q – What if my irrigation system has been winterized? A – You should get enough irrigation from mother nature unless we have an unseasonably warm fall/winter. Again, it is important to keep the sod hydrated until it goes dormant so checking it frequently is suggested. Q – Can I fertilize during this time of year (October/November)? A – If the grass is not actively growing, no fertilizer is needed. Keep in mind, you want to get your last fertilizer treatment down while the grass is still green and before the ground is frozen for the season. We suggest applying your final fertilizer with your last mow of the season. Again, end of November is typically a good time to finish all your landscape projects up for the year. Was this helpful? Do you have other questions we can answer? We are here for you! The last few months we’ve been hearing, “This sure is a strange season.” It certainly was an unusual start to the 2018 year. We had floods in February, snowstorms in March and in April we never thought we’d see the trees turn green. But are we really having especially strange weather, or are we just hoping for normal weather to let mother nature do all the work for us? Let’s look at the weather facts from this year, gathered from our main weather source: NOAA (National Oceanic and Atmospheric Administration). In February 2018, we hit a record-breaking 8 inches of precipitation. Rain, coupled with a huge snow storm, melted snowpacks and led to extreme flooding, causing cresting of local rivers. I think we all remember this event and some are still feeling the effects. Click: here for an article about this historic flooding. This picture was taken on February 27, 2018, showing one of Red Hen Turf Farm’s many flooded fields. In March, everyone was trying to recoup from the February floods. We received snow showers for the first half of the month. It was a pretty cold month with temps averaging around 34 degrees. Typically, around this time, we are all looking forward to spring and the green up of trees and grass. But nature didn’t green up like it did the prior year and it remained pretty cold. In fact, it seemed like “greening up” took 3-4 weeks longer compared to last year. The strange weather had its effect on us at the sod farm as well. Flooding and extremely cold temperatures prevented us from harvesting sod until April. 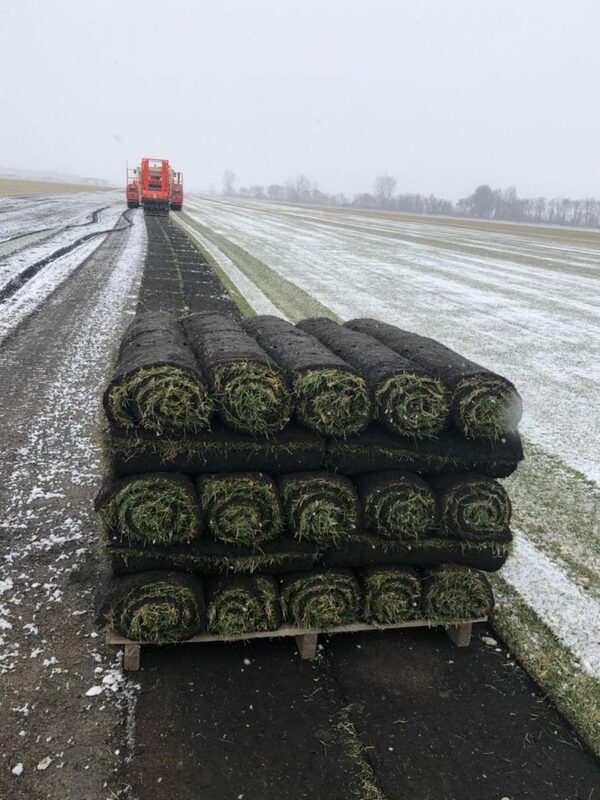 Whereas last year, we were harvesting sod on February 14 (an especially early time compared to most years), in 2018 we did not harvest our first order of sod until April 9th – WHAT A DIFFERENCE! April 9, 2018, Red Hen Turf Farm’s first sod harvest of the season. Snow and all! As summer began to set in, throughout July our customers started feeling the effects of extreme heat and drought. Lawns started turning brown and sprinklers were constantly running. One of the frequently asked questions we received during this hot, try time of the season was “why is my grass brown if I have my sprinklers on timers?” Sure, auto-timers may seem like a dream. Set it and forget it, right? Unfortunately, this is a common misconception, especially when the temperatures are above normal and/or if we haven’t had significant rain in weeks. Sprinklers are a good supplement for water, but can never do as good of a job as Mother Nature when it rains. In order to understand why your grass may be turning brown, you need to first consider how much water is needed to sustain a healthy, green appearance. According to a fantastic, easy to read publication from Purdue, Irrigation Practices for Homelawns, most ESTABLISHED Indiana lawns need 1 to 1-1/2 inches of irrigation per week. But what if you are in the midst of a drought? You can do 1 of 2 things for established lawns. CHOICE 1: Allow your established lawn to go dormant. Irrigate 1/2 inch every 2 weeks just to maintain hydration to the plant crowns. This amount of water will not green up the lawn, but it will increase survival chances during long drought periods. However, newly installed sod will require daily irrigation 1-2 times per day for at least a week. After a few mows, deep and infrequent watering should be practiced. 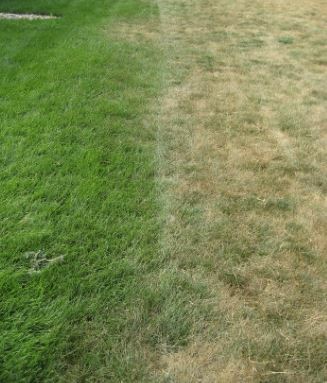 LEFT: Turf has been irrigated during a drought. RIGHT: Turf turning dormant. Contrary to some tales, watering your lawn in the afternoon will not burn it. It is not the ideal time to water but if it is the only time you have to water, it may just take extra time due to more wind and evaporation. Avoid watering in the evening hours. Watering in the evening can make turf more susceptible to mold and diseases by providing the moisture needed by fungus and bacteria. Even with proper watering techniques, turf can still get heat stressed and get some brown spots. Depending on the species of turf, green up times vary. Kentucky bluegrass may take 2-3 weeks to recoup and start turning green again. On the other hand, tall fescue will tend to bounce back quicker from a droughty period. Paying close attention to the weather will help you figure out if you need to water more or less. Finding out how much water your lawn needs depends on a few factors such as species of turf, if it’s in the shade, if it’s at the bottom of a slope, and whether your grass is newly established. Grass in the shade and at the bottom of a slope tends to need LESS water overall. Keep in mind that NEW SOD and GRASS GROWN FROM SEED tends to need more weather overall FOR THE FIRST YEAR OR SO while it’s becoming fully established – but again, if it’s in the shade or at the bottom of a slope, adjust accordingly. Yes, you read that right … Sodded and Seeded Lawns should be considered newly established / establishing for about a year or so. Some of the calls we had this summer were about sod that was laid last fall, where the amount of irrigation was not adjusted accordingly, and they were effectively under-watering which led to yellowing or browning of the grass that was still establishing, as compared to the established parts of their yards. You also may want to pay attention to the length of the lawn surrounding your sprinkler heads. If the grass is too long, the water spray will be deflected and not get to where it needs to go. Keep grass trimmed around sprinkler heads. If you are unsure how much water your irrigation system is putting out or if it’s putting out the same amount all over, simply put empty tuna cans or rain gauges in grid like zones. If they are not holding the same amount of water for each zone, adjustments may be needed. You will also have to adjust timers on hills, slopes and shaded areas as they all require different amounts of irrigation. Set timers on hills and slopes just enough time until the water begins to run off, then stopping until it is absorbed, repeating until the desired amount is applied is recommended. Hilltops dry out faster than lower areas so they should be irrigated differently. Shaded areas also need less water. Click here to read more on a blog we recently published on proper watering techniques. The best time to water is 4am-8am. The next best time is 8am-noon. Watering every day, in light/shallow waterings should be avoided and can produce unwanted crabgrass, diseases and other weeds that thrive in that environment. Deep, infrequent watering is the best for established lawns. Newly established lawns and lawns that are establishing over about a year or so tend to need more water overall – but again, slopes and shade can make a difference. Oh, and Fertilizing and mowing should also be avoided during extremely hot and dry periods. So whether you have underground irrigation on timers or a good old fashion sprinkler and hose, some adjustments and work still have to go into keeping your lawn green during droughts. Late July / Early August UPDATE – The Window of Time for Fall Grass Seed Planting Will Be Here and Gone Before You Know It! Every year around this time, it always feels like SUMMER is FLYING by. We’ve been getting lots of questions about Grass Seed, which we DO SELL in addition to our 100% Kentucky Blue Grass sod and our Rhizomatous Tall Fescue Sod, and many other lawn care products (including fertilizer). Did you know that there are certain times of the year that are better to plant grass seed than others? If not, you’re not alone. It turns out that in our part of the country, often the BEST TIME to plant Cool Season Grass Seed is in the LATE SUMMER / EARLY FALL. Air and soil temperatures are more moderate, which improves seed GERMINATION. It typically rains more frequently, which helps reduce (but may not eliminate) extra watering … this also improves your chances for successful seed GERMINATION. Grass seedlings face fewer pests than they do in the spring or the hottest parts of summer, again improving GERMINATION. First, let’s talk about what method of seeding or over-seeding you might consider. Many people try to simply cast the seed by hand or by using a spreader and leave it at that. But is this the most efficient way? The answer is NO for several reasons, including the fact that rain or wind will likely carry much of this seed away and it will never grow. Or much of it will become a yummy meal for wildlife. Also, without giving the seed a thin layer of soil over the top to grow in, there’s a good chance your rate of success will go way down. You can rent a slit seeder or a core aerator at most local garden centers. We recommend using either a slit-seeder to plant your seed, or using a core aerator first and then seeding into the cores. These methods protect the seed from being carried away, and provide the much needed soil bed for the seed to germinate. 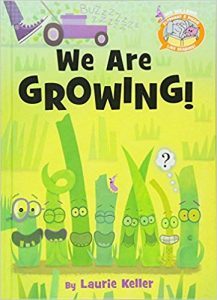 New grass seedlings have poorly developed root systems, which means they cannot effectively absorb nutrients from the soil. For this reason, it is important to WATER and FERTILIZE PROPERLY after seeding to encourage germination and establishment. Fertilizer Application #1 – Do this right after planting your grass seed. We recommend using 12-12-12 (or another starter fertilizer). The rate of application will depend on the species of grass you are planting. You should also water 2-3 Times each day while the seeds are in the process of germinating. Apply enough water to keep the soil moistened. When you see the new grass plants (seedlings), you may reduce the number of times you water. Fertilizer Application #2 – 4-6 weeks after planting (depending on the type of grass seed you’ve planted). Use some more of the starter fertilizer that you applied in the first application. Again, the rate of application will depend on what kind of grass you’ve planted. Continue to water as needed to prevent the soil from drying out. However, be careful that you do not keep the soil saturated, leaving your new grass vulnerable to pests and diseases. Fertilizer Application #3 – Do this 4-5 Weeks after your 2nd Application (once again depending on the type of grass seed you’ve planted). Our 25-0-10 fertilizer would be perfect for this 3rd Application. Or, for the 3rd Application, you could apply a broad leaf herbicide if needed to control broadleaf weeds (such as our 22-0-5+Trimec+Iron). On the other hand, if you’re dealing with grassy weeds, they are difficult to kill with herbicides, so proper mowing is your best choice for controlling them. This sod-quality seed will match our most current variety of Kentucky Bluegrass sod in production. 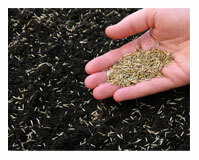 Seed can be used to patch small areas in existing sod or seeding a large area next to sod. This seed takes 21 days to germinate and will be very slow to fill in. This seed will require some extra attention to establish, but it exhibits the same deep green color and disease resistance that Red Hen’s sod does. AVAILABLE IN 50 LB BAGS, OR IN BULK BY THE POUND. This seed will match our No Net Rhizomatous Tall Fescue sod in production. Again, like with our 100% Kentucky Bluegrass, sod-quality seed, the RTF seed can be used to patch small areas in existing sod or seeding a large area next to sod. This seed takes 7-14 days to germinate. AVAILABLE IN 50 LB BAGS, OR IN BULK BY THE POUND. OUR MOST POPULAR SEED! Works well in full sun and light amounts of shade. This variety contains 3 types of grass seeds and each type will germinate at a different time. AVAILABLE IN 50 LB BAGS, OR IN BULK BY THE POUND. While no grass loves shade, this blend has varieties that exhibit better growth habits in partially shaded areas. For more information, visit the “Grass In Shade” section of our website. AVAILABLE IN 50 LB BAGS, OR IN BULK BY THE POUND. NEW IN 2018! If you have less than 2 hours of direct sunlight and have tried to other shady mixes with little luck, this may be the grass seed for you! This mix contains includes 5% Poa Supina bluegrass seed – some of the highest tech shad grass seed on the market. AVAILABLE IN 25 LB BAGS, OR IN BULK BY THE POUND. What’s more, if you don’t see what you are after, we may be able to special order the seed you need. Just let us know the seed specifications you have and we will do what we can to get it for you for a reasonable cost. 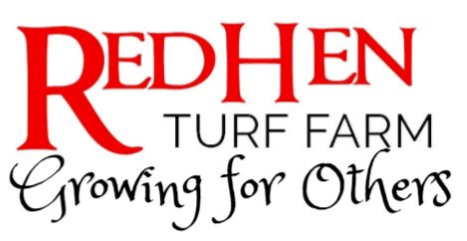 Contact Red Hen Turf Farm … Whether you’re a recent customer, a customer from years or even decades ago, or you’re simply looking for information or pricing, we’re here to help. What’s more, regardless of whether you end up purchasing anything from us, we genuinely enjoy talking with and educating people. Give us a call (574-232-6811) or drop us an email (turf@redhenturf.com). All year, we receive lots of calls about how to water your lawn correctly. Even if you’re fortunate enough to have a sprinkler system, unfortunately, it’s not a “set it and forget it” thing. Need more information on PROPER WATERING TECHNIQUES in various conditions? Check out the LINKS below for several Science-Based / Regionally-Applicable resources to help guide you. 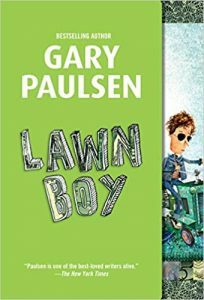 When it comes to caring for your lawn, can we please use science and not what you found on Google or happen to see on a store shelf? 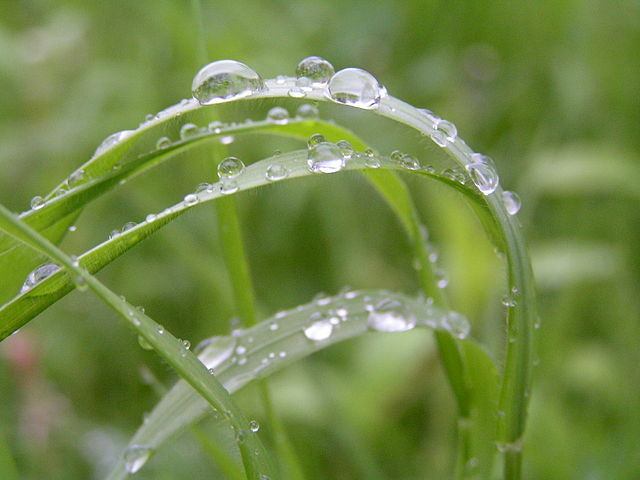 When it comes to lawn grass there actually is a lot of great info out there on the web. The problem is there is more bad than good. We get our info from the first three sources. With that out of my system, let us talk about one of this year’s number one questions asked: What do I do about Grubs? First, let’s talk about whether you NEED to apply any products in the first place. Almost every yard has grubs. Most grubs do very little harm. 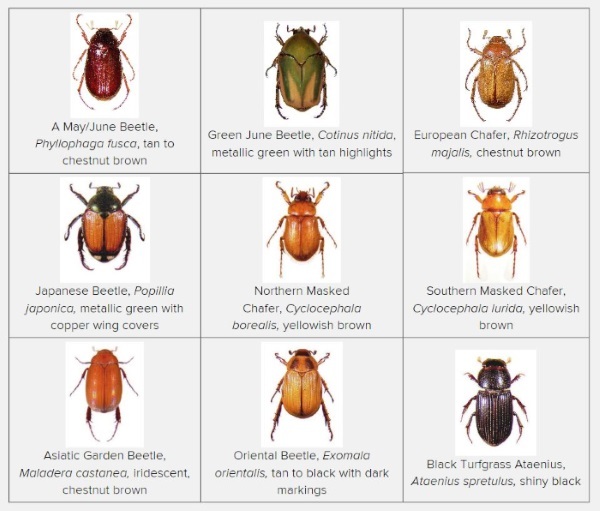 However, most expert entomologists believe that until you reach 5-10 grub larvae per square foot, there are not enough of them in one location to do damage to your lawn, and until you are seeing 5-10 grubs per square foot, there likely is no need to even consider using chemical insecticides to kill them. But, let’s assume you are concerned you have enough grubs to do some damage. When it comes to choosing a product to apply, it may seem there is an endless number of choices that are for sale. I really believe many homeowners waste way too much money and time applying the wrong product. Basically, there are two main factors to look at when it comes to choosing a product to kill grubs: (1) the time of the year you are applying it, and (2) what type of grub you want killed. Let’s focus on the time of year that it currently is — early July 2018. If you put down a product that includes Merit or Dylox (Red Hen carries both), water it into the soil and follow other label directions for control of many types of grubs. You notice I said “many”. There is a product on the market that is called Milky Spore. Now, Milky Spore is a great product, but only for Japanese’s beetle larvae. 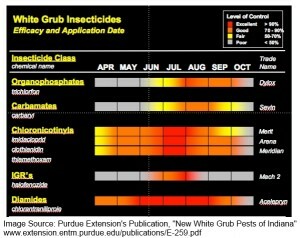 There are 7 types of annual and multi-annual white grubs that are common in the Midwest. If you believe the only beetle to lay eggs in your yard is going to be the Japanese’s beetle, then go and buy it. But not from Red Hen. My job is to save people time and money, and Milky Spore goes against both of those values. There are more great products out there that can be applied this time of year. But we all need to read the label to save time and money. Let’s use science this year, and always consider whether the source of your information is reliable. Want to Dive Deeper into the Subject of Grubs? You’ve noticed that in the winter months, your lawn’s grass typically will turn brown, right? 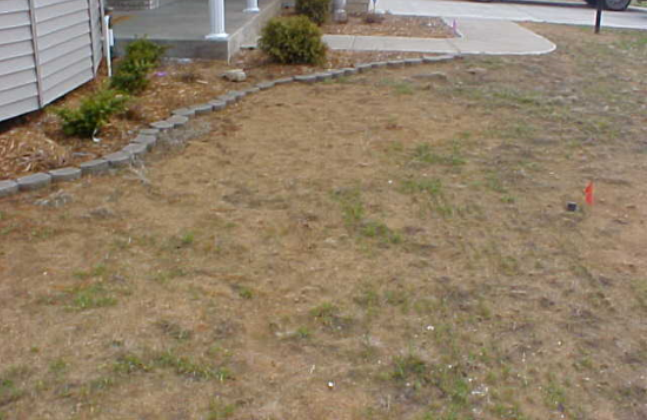 This is a normal response to winter conditions — your grass has simply gone into a dormant or resting stage. Though your grass may look dead, it is alive and is waiting for the air and soil temperatures to rise in late March to early April. Once this happens, the turf color will begin to green up and start growing again. So what can you do besides wait for warmer days? 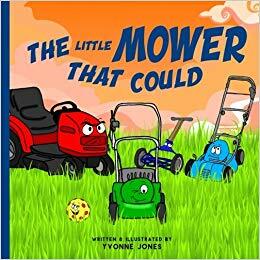 Well, if your grass tips are brown, go ahead and mow them down. That’s right … By doing an early spring mowing and removing the brown tips off of your grass, this naturally brings out the greener grass blades, and it may even help to stimulate growth. While you’ll still need to plan on simply giving the grass more (WARMER) TIME to green up, a good mowing certainly won’t hurt, at any rate. For an established lawn, remember to mow grass to 3 to 3.5 inches high, which makes it less prone to insect, disease, and weed problems. In general, you should mow frequently, cutting off no more than a third of the height each time. Also, by mowing frequently and only when grass is dry, this will prevent clumping, and allow for leaving the clippings on your lawn. Save yourself time and money by NOT bagging or raking up your clippings. The grass clippings will break down and return valuable nutrients to the soil — in a way, it’s Mother Nature’s Free Fertilizer … However, if you do end up with clumps of grass clippings, you will want to rake, bag, or mow again so they don’t smother / shade the grass. An early spring application of fertilizer may do wonders in speeding up the green-up of your lawn. As I write this on April 12, 2018, the ground is no longer frozen, so it’s a fine time to start off with either a Fertilizer + Crabgrass Pre-emergent (like our 13-0-5). By around May 1st depending on when we start seeing consistent 60+ degree days, you may decide to treat for broadleaf weeds with a Fertilizer + Broadleaf Post-Emergent like our 22-0-5. TIP: Remember, if you’re planning on doing some Spring Grass Seeding, as a general rule you will want to keep any herbicides away from those areas. Not sure what approach to take? Every year is different, and every yard is different… Give us a call and we can chat about different options. 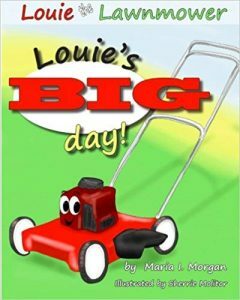 Understandably, every spring, we get a dozen or so calls from customers who sodded their lawns last year with Red Hen’s 100% Kentucky Bluegrass Sod, because they are worried about how UNGREEN their lawns are while their neighbors’ (non-Kentucky-Bluegrass) lawns are already coming out of dormancy and greening up. Compared to the perennial ryegrasses and fescue grasses that are typical in our area, Kentucky bluegrass sod needs MORE time, MORE warmth, MORE sunlight, and MORE nutrients to GREEN-UP in the spring. This is simply a natural result of the genetics of the Kentucky bluegrass sod. On the other hand, the superior genetics of Red Hen’s Kentucky Bluegrass sod gives it excellent disease tolerance against problems like leaf spot and summer patch. Kentucky Bluegrass is by far (in our opinion) the most beautiful cool-season grass you can buy. Once your Kentucky Bluegrass fully greens up by mid to late May, its deep, emerald blue-green color and dense, low-growing boat shaped blades can’t be beat. The best height to keep grass for our area is 2-1/2 to 3 inches high. 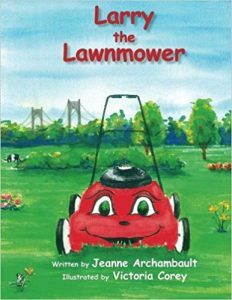 Mow when the grass grows out ½ to ¾ inch. The first rule of fertilizing is to read the label of the product you are using. Two more important factors to consider when fertilizing your lawn are HOW MUCH and WHEN to apply. Experts recommend an ANNUAL TOTAL 2-4 pounds of nitrogen per 1,000 square feet throughout each growing season for most established full-sun lawns (Kentucky bluegrass; Kentucky bluegrass mixed with perennial ryegrass and/or fine fescue) in Michiana. Ideally, your annual total of nitrogen should be split into 2-5 applications, with each single application of nitrogen being about 1 pound per 1,000 sq. ft. For established shade lawns, about half as much nitrogen is suggested. 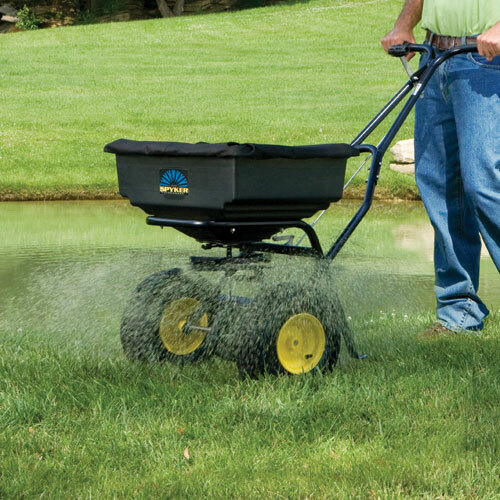 On the flipside, how often you fertilize affects not only lawn appearance, but also its maintenance level. 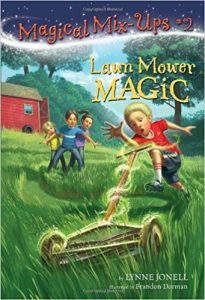 The more often you fertilize, the more you’ll have to mow, for instance. 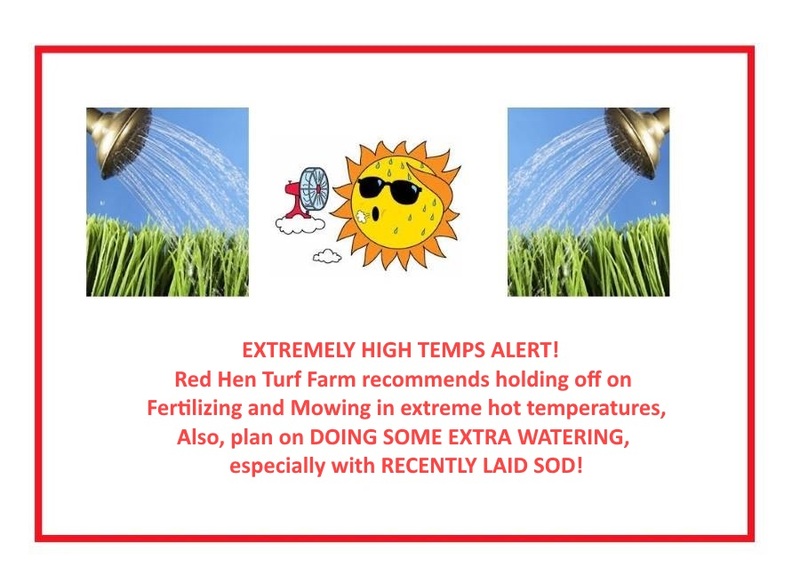 About applying lime … Red Hen Turf Farm does NOT recommend that you blindly follow this annual ritual unless you have done a recent soil test that indicates you need to adjust your soil pH. While lot of so-called “experts” recommend lime (especially in the fall) as a way of adjusting the pH of your soil to make it less acidic, we don’t agree with this advice. The idea behind liming your lawn is that you are trying to raise the soil pH near neutral to increase the availability of most plant nutrients. While proper soil pH is necessary to achieve a healthy, attractive lawn, most Indiana soils under turfgrass do not need liming. information as an important piece of the puzzle for us to create a Customized Fertilizer Program, designed just for you. BONUS: Learn how Red Hen Turf Farm can help you get your soil tested AND help design YOUR Customized Fertilizer Program by CLICKING HERE … And, Yes, we do sell high quality Fertilizer, and people seem to love the results, especially at our competitive prices Here’s our 2018 Price List. Very few people who have an “automatic” sprinkler system water turf properly. Most end up over-watering! You should water when the soil is dry to a depth of 4 inches and then water long enough to wet the soil 4 inches deep. Looking at the soil is the best way to tell how moist it is. Invest in a soil probe! Avoid watering in the late afternoon or early evening. 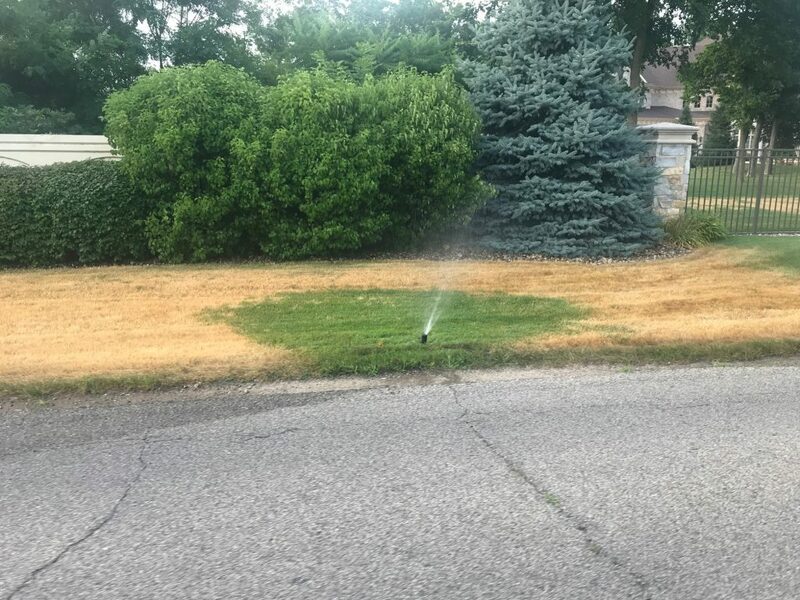 EXTRA BONUS: CLICK HERE for The Lawn Institute’s guidelines on why you may want to consider letting your grass go dormant during periods of drought or more extreme heat, such as what’s typical in late July / early August in the NW Indiana / surrounding regions. The other is reduced air movement that keeps sun or wind from drying wet leaves. Most people are caught up in the hype of killing every grub. The truth is that most grubs do VERY LITTLE HARM, and it’s completely normal to have SOME grubs in your lawn … in fact, all lawns have grubs! It takes 5 or more per square foot to cause problems. Protect the environment and save some $$ by eliminating or reduce the size of preventative applications. If you are sure you have “grub problem,” there are a number of pesticides with varying efficacy depending on when you apply them. For example, we currently carry a combination fertilizer / grub control product – 15-0-3 PLUS IMI (“PLUS IMI” means that the 15-0-3 fertilizer has an added chemical called “Imidacloprid,” a widely used and powerful insecticide that can also affect non-targeted beneficial insects.) We carry the 15-0-3 as well as a granular insecticide without a fertilizer “built in” called Dylox 6.2. BONUS: CLICK HERE to read our previous blog post on the topic of Grubs … especially if you think you might have a true “grub problem”, including the times of the year that are most effective for treating the affected area. The primary diet of moles is earthworms, not grubs! Old fashioned traps and gell baits that mimic worms are the only things that work. Tomcat mole killer is a brand that Purdue Extension recommends. Thatch is the dark cocoa brown material that is below the green and above the soil. It is created by the death of old plant parts that are below the mowing height. Clippings do not produce thatch! How much thatch is ok? Up to ½ inch of thatch is ideal and greater amounts are bad. Increasing levels of thatch are caused by over applications of fertilizer and water.Multiple passes (8 or more) with a core aerifier in September for a 2 or more years along with management changes can reduce thatch. Pick up the feces and for urine, dump some water on the spot if you observe the act. Re-seed or sod as there is no resistant grass for this area. Despite what you may have heard, we, along with Dr. Steve Thompson, DVM, Director of Purdue University Veterinary Teaching Hospital Wellness Clinic, do not recommend changing your dog’s diet without consulting your own vet first. It is either dogs or turf! The best way to prevent weeds is to have thick turf that is mowed high and not over-watered. Grass will out-compete most weeds. By the way … moss is not an invading weed. Moss likes shade and tends to occur where turf is then (and thin turf usually ALSO accompanies shade conditions). You can’t fight Mother Nature, so the reality is that you will usually need to just live with the moss, or even give up on grass and install ornamental beds with shade loving plants. Another option is to cut down the trees to allow the grass to thrive, and you can read our website link on “Grass in Shade” to learn more. 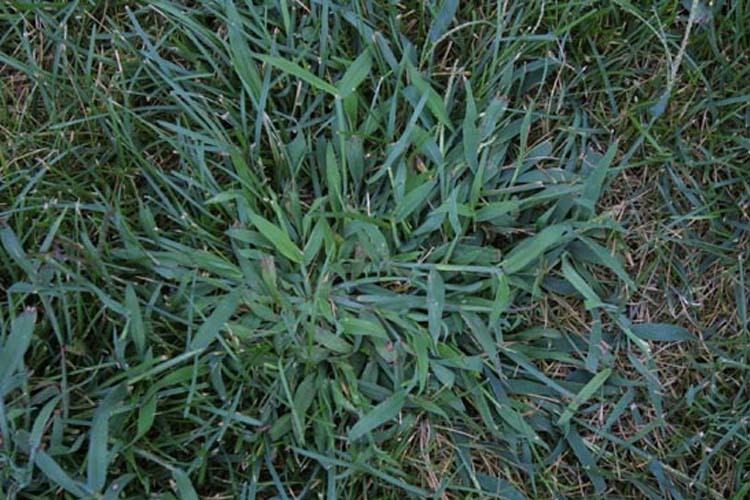 The best crabgrass preventer is to mow high and manage the turf so it is thick. TV adds scare people into applying outrageous amounts of herbicides that may not not needed! 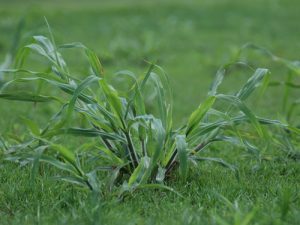 If you continually have a crabgrass problem, make a first application of a preventative herbicide in mid-April/early May, and a second application in late June. Red Hen carries Award-brand Fertilizer + Crabgrass Preventer … Here’s our 2018 Price List. Lawns that are mowed, watered, and fertilized properly have the fewest diseases. Disease outbreaks are the result of a combination of factors occurring at the same time. These factors include the presence of the pathogen, the status and vulnerability of the turf, and certain prevailing environmental conditions. A prolonged period of hot, humid weather can cause occasional non-fatal outbreaks. The genetics of your grass play an important role in disease control. For example, newer varieties of Kentucky bluegrass (such as the ones that Red Hen Turf Farm uses in our 100% Kentucky bluegrass sod) have greater overall resistance compared to fescues, ryegrasses and old bluegrass varieties. To effectively control a lawn disease, first you need to accurately diagnose the problem – BUT lawn diseases are hard to identify because the pathogens are typically microscopic. 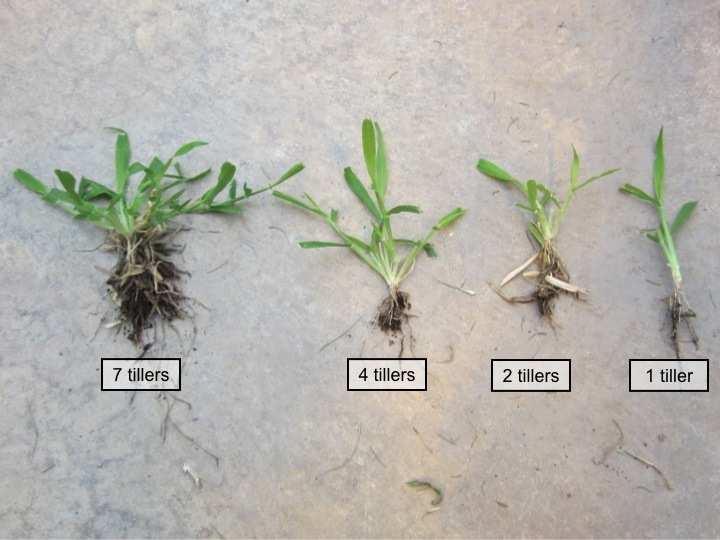 Diagnosing lawn diseases is both an ART and a SCIENCE that requires a systematic approach. What we are able to observe is usually the RESULT of an infection, and not the pathogens themselves. In other words, if you are seeing patches of discoloration in your lawn, you could be seeing the RESULT of a lawn disease caused by a microscopic pathogen. Another challenge to diagnosing the problem is TIME – if you can recognize the initial stages of the outbreak, this will greatly increase the likelihood that you can treat it and your lawn will recover. As we have already touched on, we feel that Googling random website or following word-of-mouth advice are not reliable ways of getting lawn care information. Everyday, we talk to customers that have been following certain lawn practices their entire lives … and so often it turns out they were mis-informed. Red Hen Turf Farm’s Customer Service Crew, especially Turf Operations Manager, Jeremy Cooper … our contact info is below!